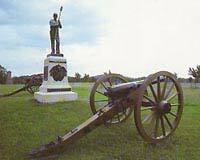 Congress authorized the creation of the first four National Battlefield Parks between 1890 and 1899. These were Chickamauga and Chattanooga, Shiloh, Gettysburg, and Vicksburg. The creation of the parks was a controversial issue in the 1890’s. 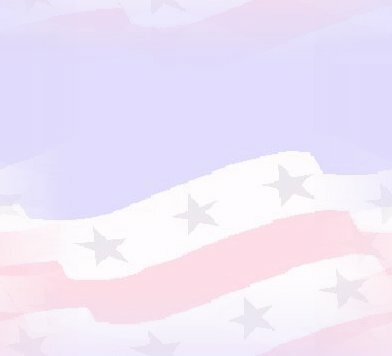 Even though there was a general desire within the country to honor the veterans who had fought in the Civil War, there were those who disputed the right of the Federal government to seize the property which comprised the battlefield by power of eminent domain. This dispute was finally settled when the Supreme Court handed down a historic decision, ruling that the preservation of nationally important historic sites and buildings is a legitimate activity of the Government of the United States. 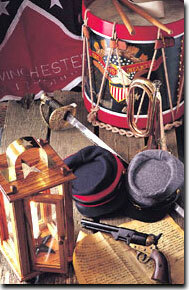 The first parks formed the foundation of the present system of national battlefield parks. They were designed to preserve battlefields in the various parts of the country that represented the different theaters of operation during the war. 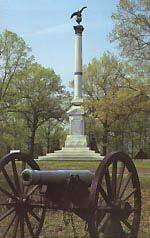 They were further intended to be memorials to members of the great armies, both Federal and Confederate, that had confronted one another on them. Since the authorization of those first four parks many others have been added. These are included in the list below as links to their respective official websites. Each is an important element in the ongoing effort to preserve and honor the historical heritage which belongs to all of us as Americans. I have personally visited several of these parks, among them Gettysburg, Petersburg, Fredricksburg, Chattanooga and Chickamauga, and I heartily recommend that you find the time to do the same. To explore these parks, to allow your imagination to run rampart, will result in a truly educational experience. Many states also have created Civil War State Parks - parks such as Fort Taylor State Park in Key West, Florida, and Fort Clinch State Park in Fernandina, Florida. These too, are also worth the visit.